TOKYO -- British luxury sports-car maker Aston Martin has a Brexit contingency plan: crank up spending in the U.S., its biggest market. "We've been putting a lot of effort in the U.S.," CEO Andy Palmer said in an interview in Tokyo. The reason is the company doesn't think any contagion will spread to the U.S. in the event consumer confidence drops when Britain leaves the European Union, he said. In signs the automaker is spending more in the U.S., Aston Martin last month made a foray into real estate for the first time to establish a broader luxury brand. Partnering with property developer G&G Business Development, Aston Martin broke ground on a 66-story apartment tower in downtown Miami on Oct. 18. The Gaydon, England-based automaker known for its cars featured in James Bond movies is among companies weighing options as the formal process of the UK exiting the EU drags on after last year’s vote. While possible non-tariff barriers such as local-content rules and vehicle standards worry him the most, Palmer said on the whole he is "pretty neutral" because a weaker pound would balance out the imposition of any tariffs. The talks are hung up over how much money the UK will pay when it leaves the 28-member bloc, delaying crucial negotiations on the future trading relationship. Both sides are hoping for a breakthrough at a December summit as Britain prepares to walk out of the group in March 2019 with or without a deal. "How one calculates local content in future is one of the factors we need to be worrying about because normally you need to get 60 percent," Palmer said separately in a Bloomberg Television interview on Wednesday. 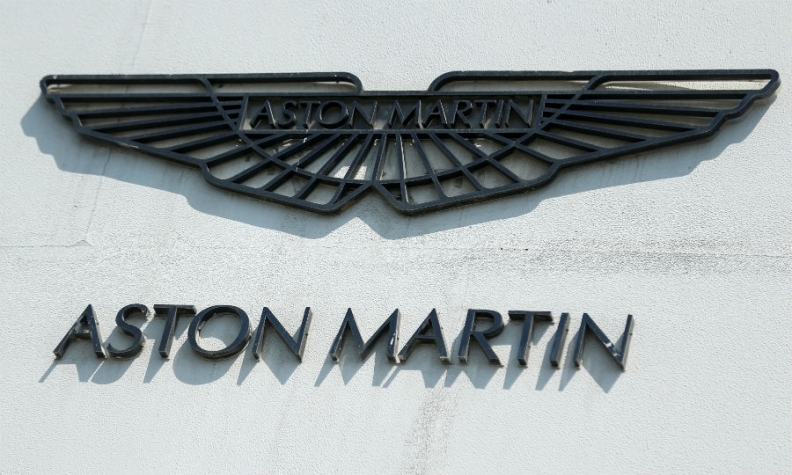 As a European automaker, Aston Martin has about 95 percent local content, but from the standpoint of the UK, that drops to about 45 percent because the company manufactures its engines in Germany and sources gearboxes from there, he said. "That would require us to, for example, move the production of our engines," he said. As a company whose exports account for 80 percent of its sales, the carmaker has been in a sweet spot so far as the British currency weakened since the Brexit vote while all free-trade agreements still remain in place. The carmaker is also expanding in Japan, as it expects sales will reach 300 units this year and 400 units next year, Palmer said. It combined two existing Tokyo dealers into a new single outlet on Wednesday, which will also serve as a showroom for its technologies. While sports cars aren’t so strong in China, the company plans to strengthen its brand in the Asian country when it starts selling SUVs in 2019, Palmer said. Aston Martin sold about 3,600 autos globally in 2016, with the U.S. accounting for 20 percent of the sales. The UK was its second-biggest market, according to Chief Marketing Officer Simon Sproule. The company returned to profit and almost doubled revenue in the second quarter, buoyed by cost cuts and robust demand for its new DB11 sports car, and predicted the possibility a full-year profit. The timing of an eventual initial public offering not only depends on when its investors would want it, but may also depend on the end to all the uncertainties surrounding Brexit, Palmer said. "The quicker that we can get clarity over Brexit, the happier we will be," he said. "I would hope we’ll get clarity on trade talks in particular in the early part of the New Year."